This painting is so beautiful, we can’t stop looking at it. Click on it and you’ll be taken to the Metropolitan Museum website where you can zoom in super close to see all the beautiful details . Gratitude and joy – those are the emotions that define this day for us. Gratitude to God for the gift of Our Lady, and joy because we feel her maternal solicitude each day. The second reading today from the Office of Readings is taken from Pope Pius XII’s Apostolic Constitution defining the dogma of the Assumption. 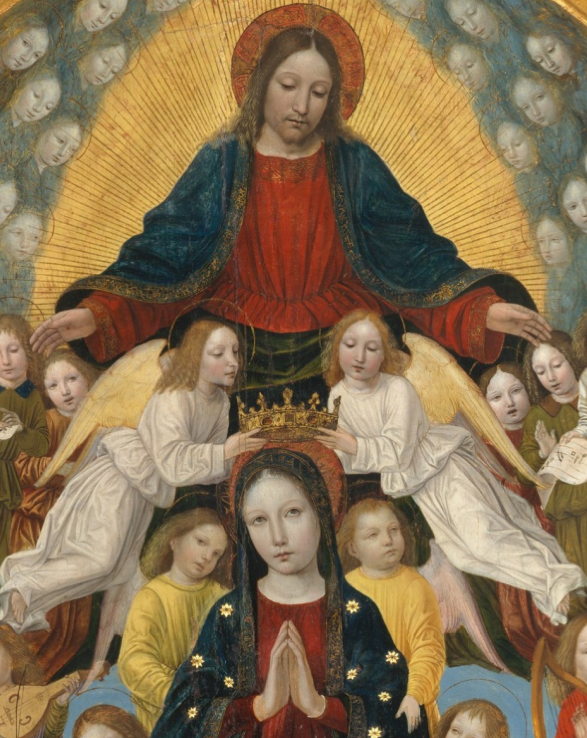 It’s a beautiful explanation of why we celebrate the Assumption of Our Lady. To read the entire document click here. This entry was posted in Our Lady and tagged Assumption, Munificentissimus Deus, Our Lady, Pope Pius XII by texasnuns. Bookmark the permalink.